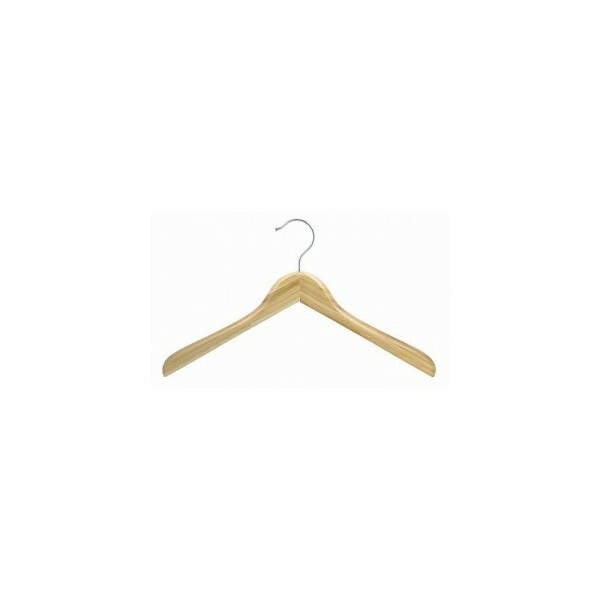 With so much concern these days for renewable resources, bamboo makes perfect sense for any closet. Heat cured to bring out the natural bamboo finish, this wood has a beautiful glow! No special care is required, just wipe with a damp cloth to remove dust or lint that might accumulate. 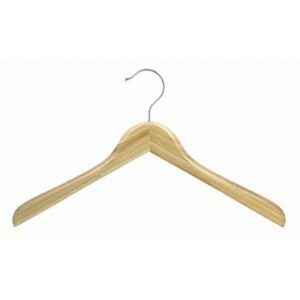 Made 1” thick for heavy coat storage, the contoured hangers feature a concave shape to support creaseless draping. The chrome swivel hook is nested in a beautiful bamboo finish that will hold up even under heavy use. Sold individually.